​"My daughter Gracey is seven years old. 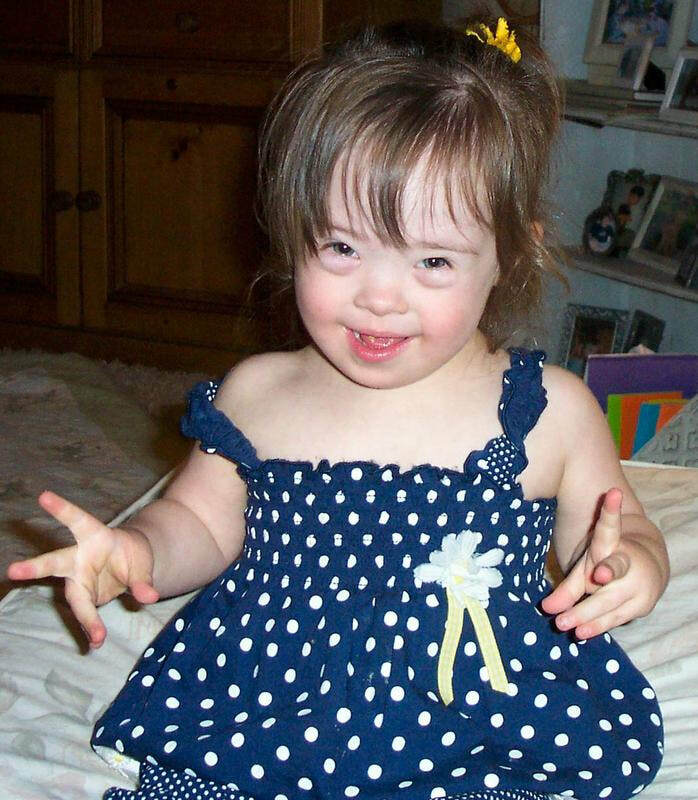 She is a spunky, fun loving little girl who also has Down syndrome. I have a Special Education degree and nearly 30 years of experience teaching students with many different learning challenges. I also am the mother of five children who each have unique learning styles and struggles. I knew in my heart I could teach my Gracey but somehow I lacked confidence. When I found "So Happy To Learn," I realized immediately that Mrs. Brown's methodology was exactly what I'd been looking for to help Gracey become a successful learner! 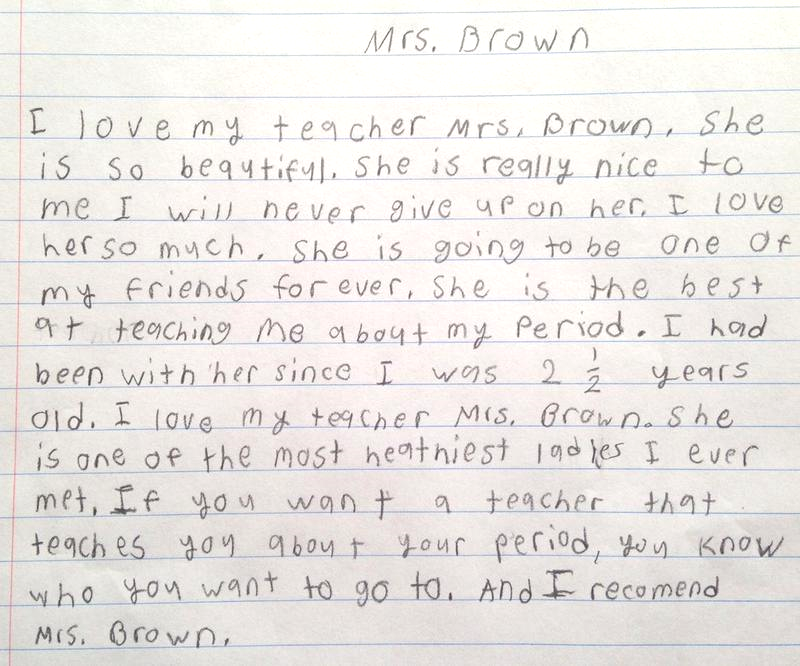 Mrs. Brown and her amazing program have given me just the tools I need and have truly empowered me as a teacher. For the first time in my career, I have found a true mentor in Terry Brown! 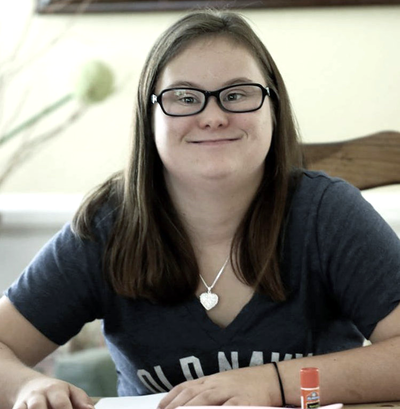 "Mrs. Brown's inspiring academic activities are helping me make learning a fun and successful experience for Gracey while fostering independence. Each session is an accumulation of reading, writing, art, math, expressive language and social skills all woven together beautifully in one short lesson. "Gracey is now thriving and learning and most of all - is SO HAPPY to learn!!! 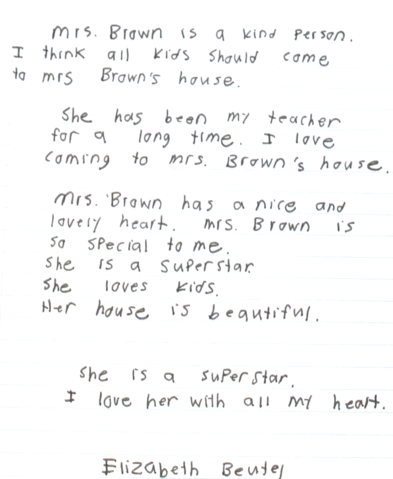 She wakes up every morning and is eager to recite our 'good words' Mrs. Brown has taught us: 'I am smart. I am focused. I am joyful. I am an artist. I am a good reader. I am good at math. I am a good writer. I am awesome.' And Gracey's personal favorite that she declares daily on her own, 'I AM SO HAPPY TO BE ME!'" "I found Mrs. Brown and the So Happy To Learn Program when I was trying to get the courage to home school my daughter with Down syndrome. Having been a special education teacher for eight years prior to becoming a mom, I was surprised by my lack of confidence in teaching my own child with special needs. Suddenly the pressure to make sure my child was learning rested solely on my shoulders, but thanks to Mrs. Brown taking me under her wing, so much of that stress disappeared. 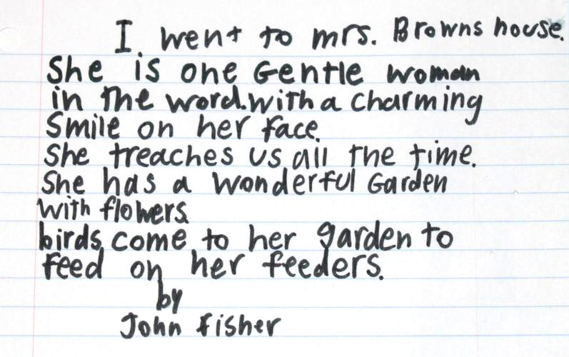 Mrs. Brown became my mentor and held my hand through those beginning days of homeschooling. She spoke confidence into me and encouraged my growth both as a connected parent and teacher. 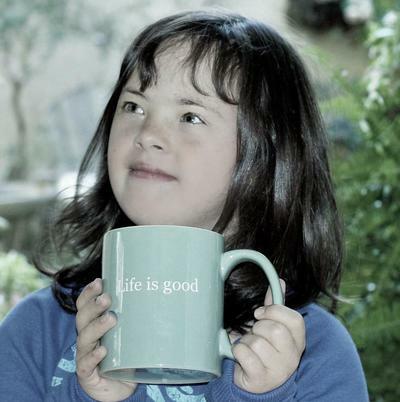 "I highly recommend her program to any parent or teacher working with a child with Down syndrome. 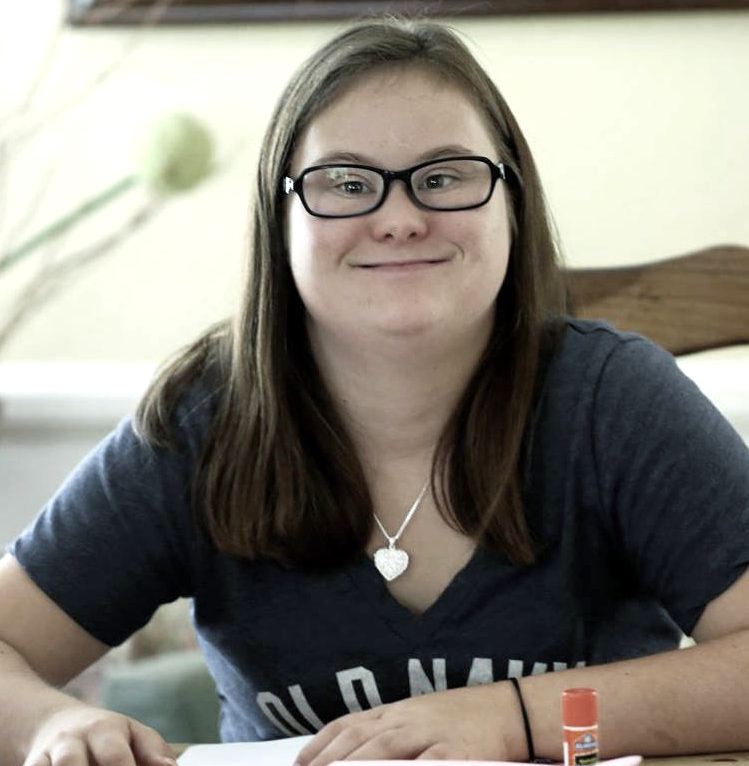 Her philosophy of teaching is unique and has proven to be highly successful with all three of my children with Down syndrome! Mrs. Brown invests her time, love, and energy into all of her students and their parents and that has made all the difference for us." Terry Brown changed our life. I am a Teacher of the Deaf and I knew a lot about what one should do to teach reading and math. Yet, I still could not put it all together to help my daughter Molly. In our first session, I knew I was watching a “genius” at work. Her calm, clear and intuitive demeanor brought clarity to Molly and myself. She was able to break down the steps of reading and math so that Molly could manage each step without becoming frustrated and even being excited about the work. As the next months grew into years, she became my mentor and I became her greatest fan. I have learned so much from her and even feel confident in many ways. Yet still, there is not a time when I am with her that I do not learn and always leave wishing I had that “Terry Brown extra chromosome”. 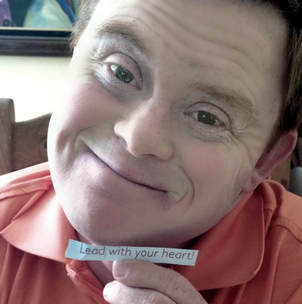 There are a lot of facts and books and strategies on how to teach children with Down syndrome, but there are few people who so genuinely “connect” the way Terry does with kids with Down syndrome. What a gift she is to our community! I have to admit...I was a skeptic. I did not believe a program existed that could teach children with Down Syndrome to read...I WAS SO WRONG! I attended a workshop offered by Terry Brown and I am so excited to be able to offer my students the amazing program she developed. My students are learning to read! 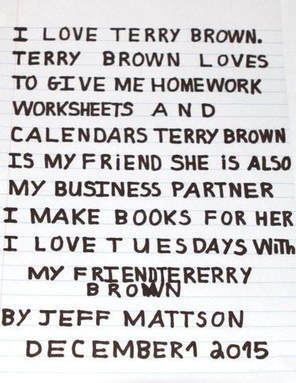 Terry's techniques are effective and provide opportunities for these amazing children to become readers and writers. This program has changed my life and the lives of my students. "So Happy to Learn" is easily implemented in classrooms, and affords children with disabilities opportunities educators never thought possible. Thank you Terry Brown! Your vision has become my guiding light! 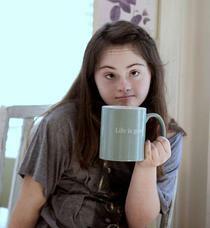 The Down Syndrome Association of Orange County is so grateful for Terry Brown. The So Happy to Learn curriculum is amazing! Our Mano a Mano program is an early literacy program that serves our Spanish speaking families of children with Down syndrome. Our program has been using the So Happy to Learn curriculum for several years now and we are excited to share that we have seen impressive growth in the learning of our students. Many of our families have reported how overjoyed they are to finally see their children enjoying their homework time working on the worksheets. Some of our students are even initiating their reading times at home with their parents. Most amazing news has been that few of our students with Down syndrome have been recognized by their school teachers with awards in literacy!! "I've home schooled since homeschooling wasn't cool. With three neurotypical students I was always doing my best to make learning fun and use the curriculum that worked with their learning style as well as teach my students how to learn for themselves and pursue their delights. 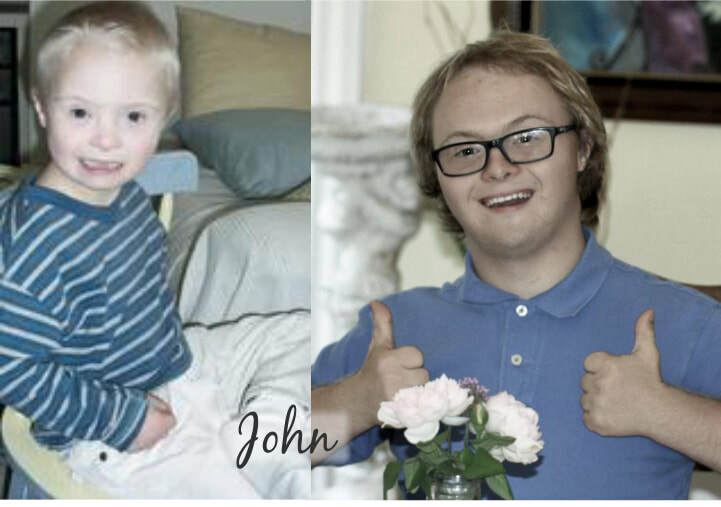 "My fourth student with Down Syndrome had the same needs but needed it all presented in a different way. It's not something you can buy in a boxed curriculum. I kept trying to either make other programs work or recreate the wheel on my own with this and that from other books and curricula. "With "So Happy to Learn" I've found that all the pieces come together to make a well rounded program at the fraction of the cost you will pay for even one subject elsewhere. In just a few months I have seen my student grasp concepts I was unsure she was capable of learning. She has made progress in speech, handwriting, and creativity not to mention the math and reading concepts that we work on daily. "So Happy to Learn has given me a sense of relief after years of trying to find what clicks to draw out all that my daughter is capable of doing. I was frustrated with systems, programs, and curriculum that just were not working and leaving us exhausted, drowning in busywork and trying to make accommodations. We are so thrilled to find a program that makes learning enjoyable for both my daughter and me. The joy I have hearing her ask to "color Mrs. Browns papers", even on weekends and while riding in the car on a trip, just can't be measured!" I wanted to share with you just how awesome I think your program is. It has been great for both of my boys. They really respond well to it and they are not an easy sell! Especially my oldest with ASD. We had a big week of blessed miracles here and one was both boys started reading! They are both doing great with your program, it keeps them engaged and I absolutley love the positivity and happiness of it. I have had trouble with other programs which do not keep them engaged as well as yours does. I shared your program with my friend whose son has severe ASD/PANDAS and he is thriving with the so happy to learn program as well. We are both literally over the moon! Through a friend, I learned of Mrs. Terry Brown. I went to a workshop to hear her speak about her program. While my son was in treatment for Leukemia, we had to find ways for him to learn in addition to his school setting. My friend assured me Terry would be willing to consider teaching Owen and she was right. Taking the good days with the bad days, Terry was patient and kind. Under Mrs. Brown’s watchful and caring eye, Owen is now a reader and a writer. 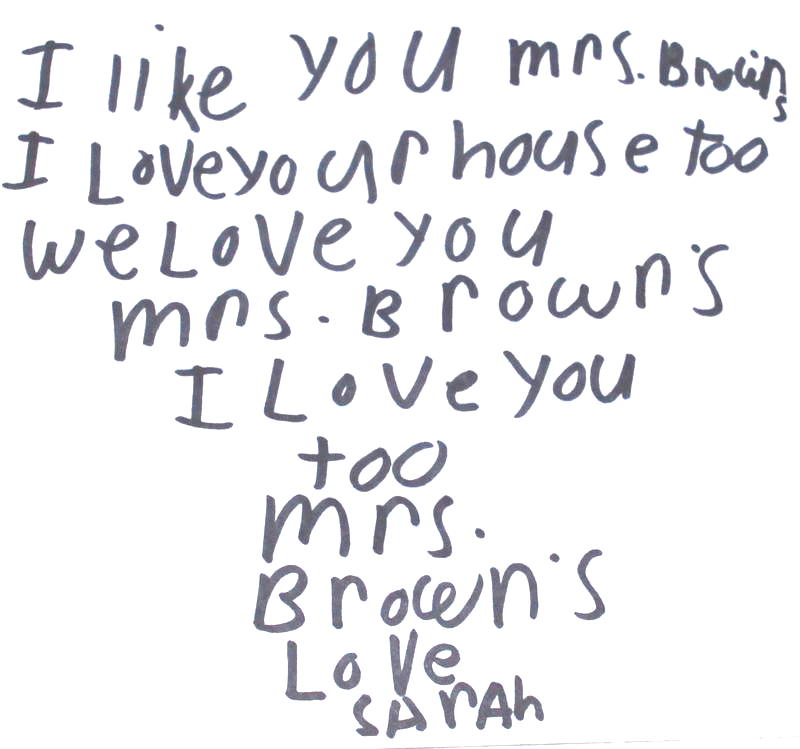 While it is evident that all children “love Mrs. Brown’s house” and can’t wait to go each time, I can say that as a Mom, I love it too. Mrs. Brown gives me the confidence, guidance and determination to apply her program across many different learning platforms. Making books, using flash cards, playing question games, spelling, reading and math are all of Owen’s favorite activities. Each time I wonder whether or not there will be a next step (“Will he ever draw a picture independently?”), a next phase (“Will he ever read a book that is not a Mrs. Brown’s book?”), an ability to push beyond what is currently being accomplished (“Will he ever do a worksheet book on his own?”), the next level of effort appears. With a big, kind heart, a strong listening ear, and a sense for what is right for each child, Mrs. Brown has impacted and changed the lives of countless children and their families. We are so grateful for her! 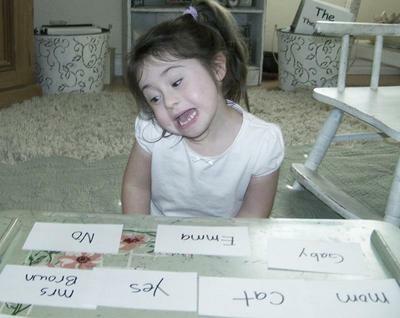 We have an 8 year old daughter with Down syndrome. We have been struggling for a couple of years with her school. Getting her what she needs to help her learn in the way she learns best has been like pulling teeth. We had heard about Terry Brown from a friend. They told us how incredible their child was doing with her so we called Terry and got on her waiting list. To say that our daughter has excelled in this program does not come close to explaining her exponential growth. 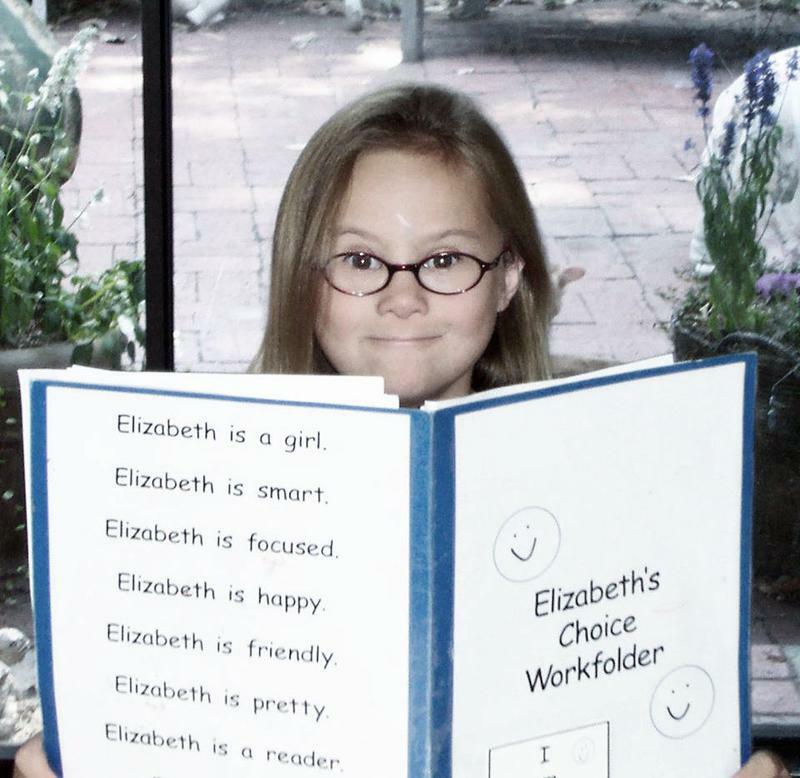 She started reading and writing within weeks when the program at her school couldn't accomplish that in two years. Mrs. Brown has bent over backwards to help our daughter. We love everything about her and her program. I was sitting at my kitchen table scared out of my mind because I had made the decision to pull my daughter out of public school and to home school her. Not knowing where to start I went on the internet and searched "teaching children with special needs" and Terry Brown was the first one that popped up. I contacted her and scheduled an evaluation for my daughter. Within the first 10 minutes of her evaluation I knew that Mrs. Brown was someone special. Someone who finally didn’t just see my daughter as a girl with Down syndrome but as a child willing and capable of learning. She saw in my daughter what all other teachers had not. POTENTIAL! She believed in my daughter!! Something no other teacher had ever done. She believed that she was more than capable. 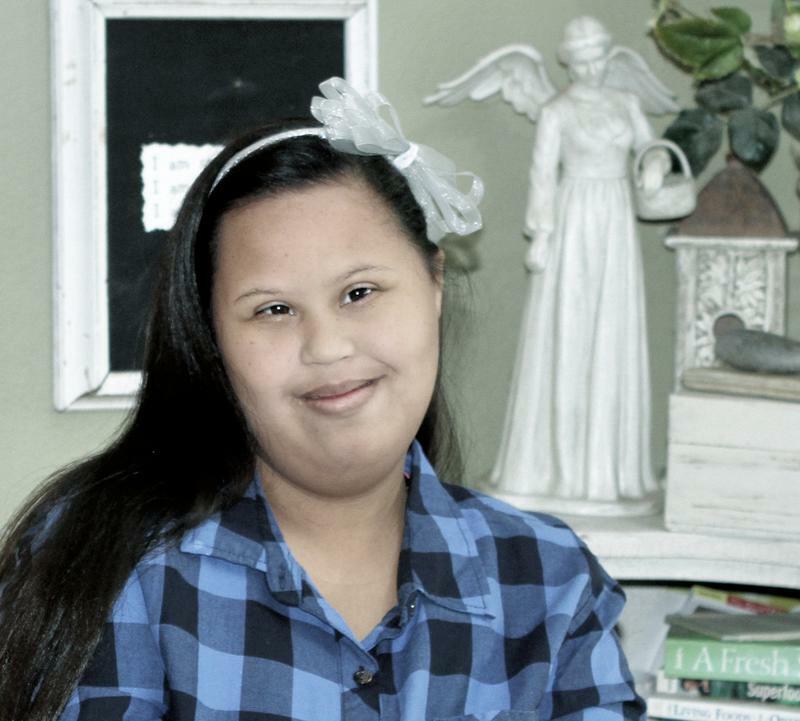 Mrs. Brown has a gift for teaching children with Down syndrome. Terry is always pointing out the good in them. She makes them feel as my daughter says it "awesome!" Her techniques make the kids proud of their work and leaves them waiting anxiously for their next day of class! 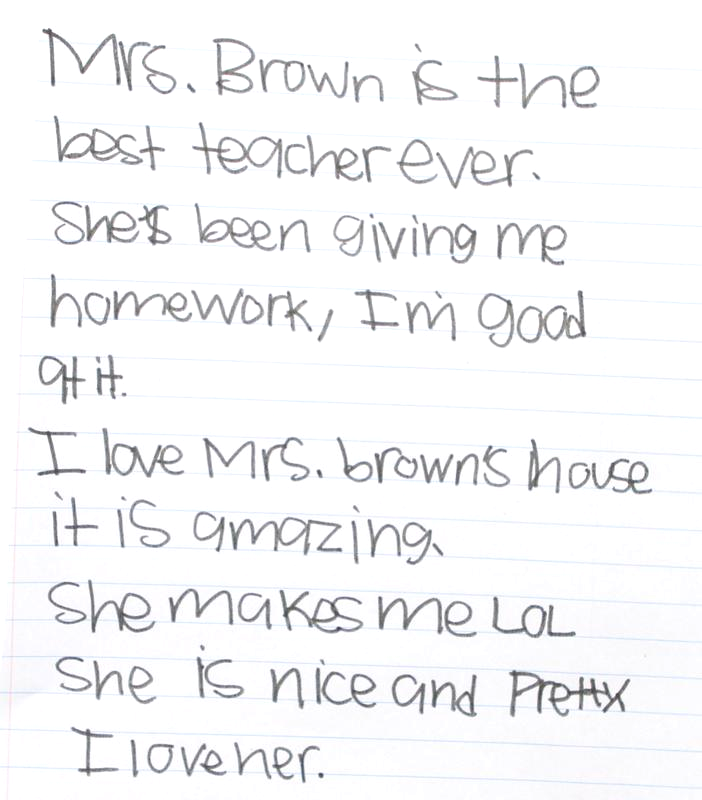 Like my daughter says "there is no better place to learn than Mrs. Brown’s house because she is awwwwesome!" My daughter went from just writing her name to reading, writing, and doing math. She went from hating school to loving it. 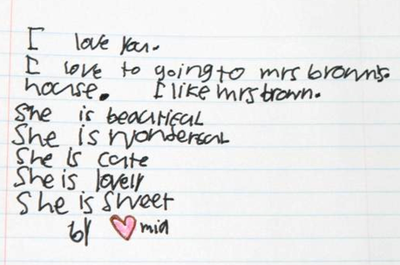 And that is all due to the loving and caring teachings of Mrs. Brown! She is an amazing person and teacher! I will forever be thankful for the day that she believed in my daughter!